Delta English Nursery information updated, supplied by Schlumberger? See also Delta English School. Head's name, owner, fax information added. Curriculum is International (previously Indian CBSE)? Changes not confirmed - domain name www.deltasch.com supplied but not available? Children aged 1 month to 4 years old accepted. Nursery location changed from Al Muwaila/ AlMuwailah / National Paints to Al Ramla? Telephone number unchanged from previous information. No further details supplied. Delta Nursery preschool and creche moved from Maisaloon/Maysaloon to Al Muwaileh schools area near National Paints roundabout. 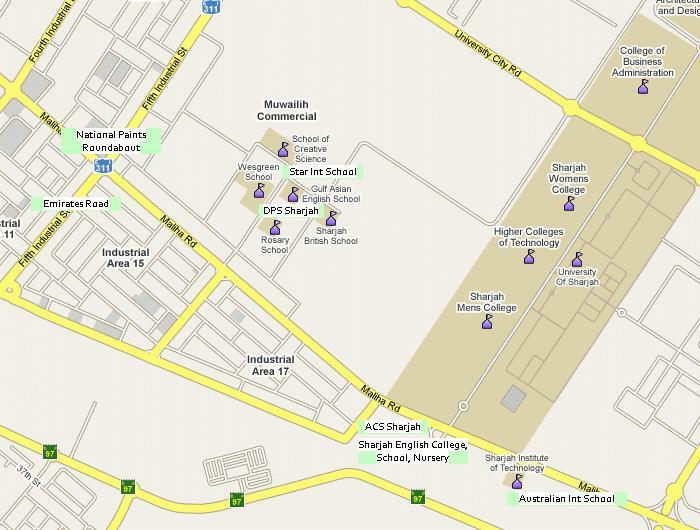 Close to Scholars International Academy Sharjah, and Our Own English High School Sharjah Boys Branch? Date of relocation unknown (previous location map at Delta English School?). Contact phone updated, fax number not supplied (previous telephone +971-6-5636847, fax +971-6-5636412). New telephone number (+971-6-566 9870) is same as for Geneva Foodstuff Trading LLC (Geneeva?) in Sharjah, according to the UAE Yellow Pages? Website could be at www.deltasch.com eventually (registered with the Sharjah Delta School) but at present is not available. Delta Nursery School accepts children from 2-3 years old only? Is part of the Delta English School in Sharjah (same PO Box, fax number). 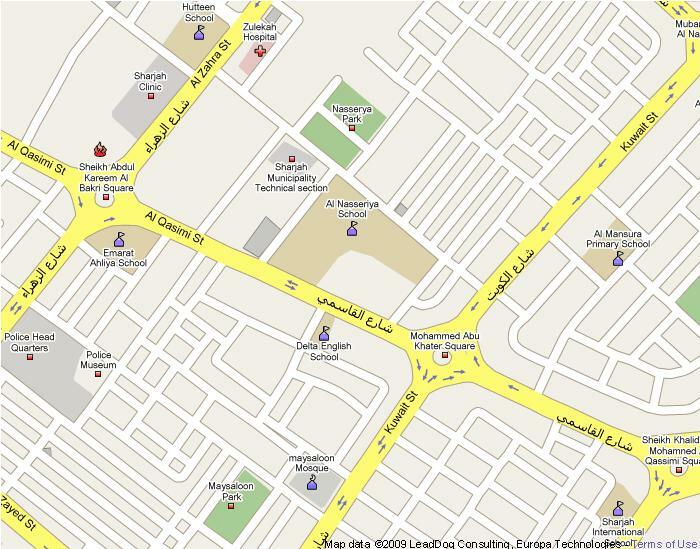 DN location opposite Al Nasseriya School on Al Qassimi St, up the road from the Fire Station Roundabout. No website found (www.deltanursery.com and www.deltanursery.ae return errors). Not related to the Delta Nursery in Vancouver, Canada (which is a plant shop). www.dubaifaqs.com/delta-nursery.php (PDF and print version).